Longtime Android game developer Com2uS has its fair share of experience with baseball games. 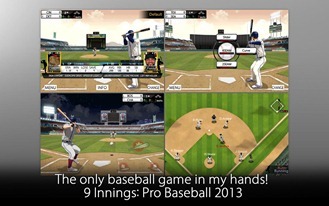 Most Android users have at lest heard of, if not played, Homerun Battle. 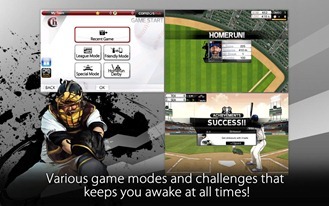 This series is designed to provide a more authentic feel than those cartoony games. 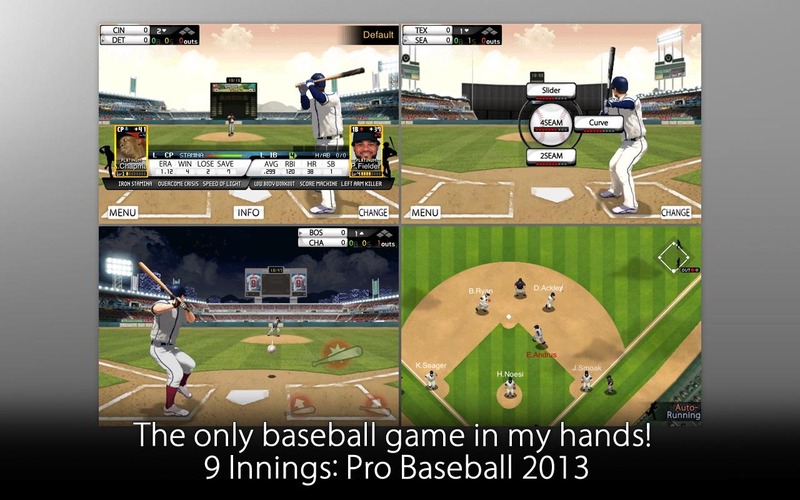 9 Innings: Pro baseball 2013 has the real players you know and love with physics to match. 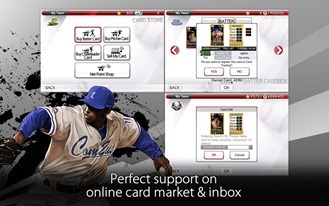 If you're a baseball fan, this is probably the game for you. Com2uS has fed in all the stats and data for over 1,400 players on 30 teams. The roster is accurate as of July 5th, and Com2uS has a contract with the Major League Baseball Players Association to keep it up to date. You can play a standard season, or longer ones if you like. 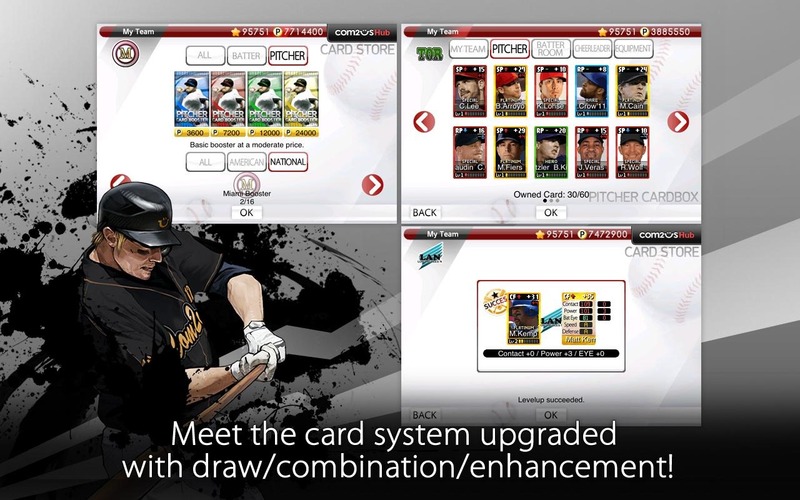 Your team can be upgraded and managed with "cards" that you accumulate over time. 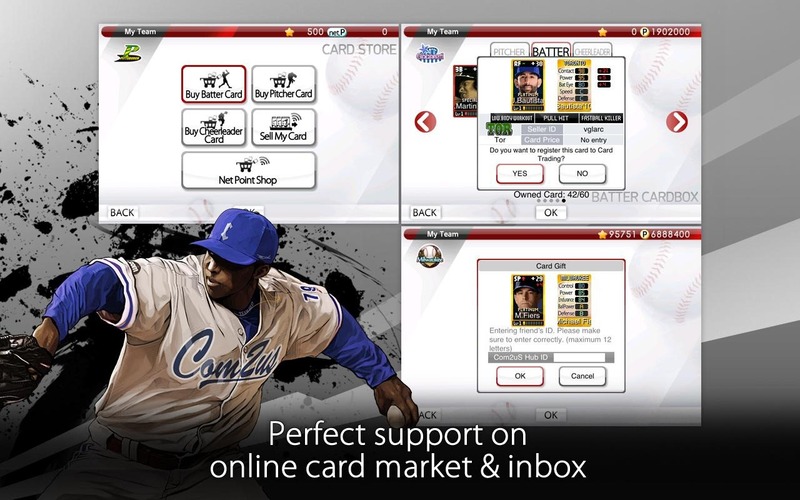 There are in-app purchases if you want to speed things along, too. 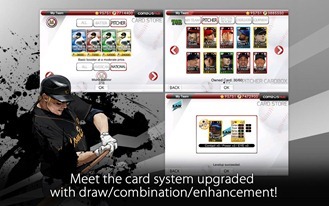 9 Innings also has various challenges to improve your players, and you can also sell unwanted cards, which is cool. The game engine is vastly improved over the last iteration. It's very smooth and looks more realistic now. The game is only 39MB and it's free. Watch out for those in-app purchases, though. You can get in very deep if you're not careful. Note: Be aware that this game does work on rooted devices, but for whatever reason, you might get a warning that says otherwise. Not everyone is seeing this (I did on the Galaxy Nexus), but just restart the game if you do, and it should run fine.